A divorced man and his seven kids have been found dead in their home on Maryland’s Eastern Shore. Authorities believe they were poisoned by carbon monoxide fumes from a generator they used after their electricity was cut off due to unpaid bills. 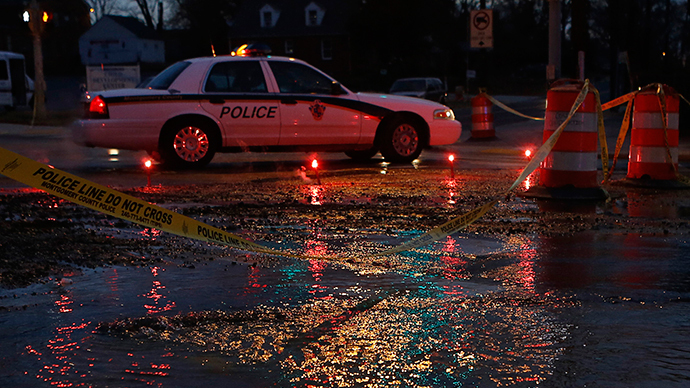 The bodies of Rodney Todd and his children – two boys and five girls – were found in their house in Princess Ann, 140 miles to the southeast of Baltimore, a week after they were last seen alive. Stephanie Wells, a supervisor at the nearby University of Maryland Eastern Shore, where Todd was a kitchen worker, filed a missing person report with the police after she went to Todd’s house on Monday morning and knocked at the door, but got no answer. "He was a good person; he always did what he was told," Wells told AP. "He took care of seven kids. I last saw him on March 28, and I'd asked co-workers to look for him because it didn't seem right." Neighbors also said they had knocked on the doors. Leo Lawson, a spokesman for Somerset County Schools, said school personnel had been looking for the children as well, but could not find out if anybody was at home. Princess Anne Police Chief Scott Keller said a gasoline-powered generator found in the kitchen with no gasoline left caused suggestions that they are most likely to die from carbon monoxide poisoning as no signs of foul play were found. He added the cause of death is still being investigated. Keller also confirmed that the electricity had been turned off. Todd’s close friend Sarah Hardy told AP he had some welfare money, but not enough to pay the overdue bills. “The mother left, not only the seven kids by Rodney, but she left her oldest son with him as well. She abandoned him and the kids," Hardy added. Delmarva Power, the company responsible for electricity in the area, said it discovered an illegal electrical connection and cut off service for safety reasons, the company said. "Through the use of smart meter technology, Delmarva Power discovered a stolen electric meter was being used at the home on March 25, 2015. Delmarva Power disconnected the illegally connected meter for safety reasons and to comply with standard protocol. Delmarva Power did not disconnect electric service at this address for nonpayment," the company said in a statement. On Tuesday, the utility said that the rental home had never had legal power while the Todds lived there, the Baltimore Sun reported. Maryland law bars utilities from terminating electric service for nonpayment of bills from November 1 through March 31 without an affidavit filed to the Public Service Commission. Keller said the utility has been subpoenaed to document exactly what it did when. Tom VanLandingham, who directs the Office of Home Energy Programs in Somerset County, said Todd used to receive subsidies to pay utility bills in the past, but did not apply for help this year. When his divorce with Tyisha Luniece Chambers was completed last September, Todd got full custody of the children. Bonnie Edwards, Todd’s mother, identified the children as boys Cameron, 13, and Zycheim, 7, and girls Tynijuiza, 15, Tykira, 12, Tybree, 10, Tyania, 9, and Tybria, 6. The estranged wife denied that she left the children, insisting she used to pay child support. “He wasn't a single parent. I was in their lives. I don't have drug problems. I love my kids and I'm sorry their father passed as well," Chambers said. Bonnie Edwards said her son was a good father, teaching kids the value of education and respect towards elderly people. Even when he was short of money, he managed to buy a cake and a gift for each child's birthday.